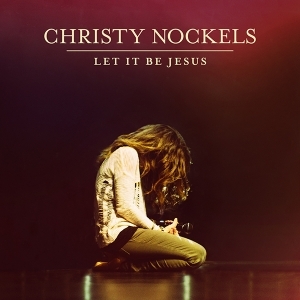 Worship leader Christy Nockels has just released her new live album 'Let It Be Jesus'. In this interview with LTTM, she explains the story behind the album, touches on balancing being a mother with being a songwriter, and discusses why finding authenticity is key. Tell us a little bit about your new album 'Let It Be Jesus' and what the inspiration behind it was? 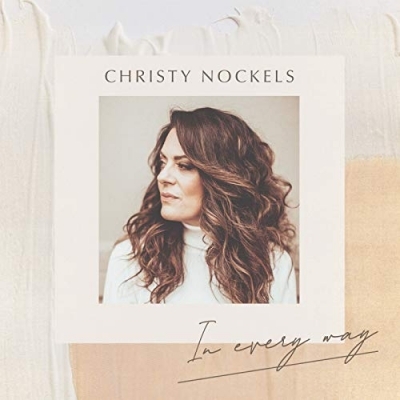 Read More Worship leader Christy Nockels has just released her new live album 'Let It Be Jesus'. In this interview with LTTM, she explains the story behind the album, touches on balancing being a mother with being a songwriter, and discusses why finding authenticity is key. I always want the record that I offer to people to be an authentic expression of the season that I am in. Often, even the melodies themselves reflect the peaks and valleys that I’ve spiritually walked through. When I sit down to write, I never really know what is getting ready to come out. My last record called “Into The Glorious” was more of a mellow, singer-songwriter album that was reflective of some very beautiful truths that the Lord had shown me during that season. My favorite track is called “Everything Is Mine in You”. I wrote this song with the beautiful, Ellie Holcomb. She and I met for the first time when writing this song together and each had come to the table with a scripture burning on our hearts. She had come with Romans 4. Verse 18 says, “Against all hope, Abraham in hope believed…” She began to talk about some friends in her life, one going through infertility and how hard it is to walk through something like that. I had come with 1 Corinthians 3 where Paul urges us to not boast in men but that “all is ours in Christ Jesus”. I had the phrase “everything is mine in you” etched in my heart and had been singing it to a little tune all morning before she got there. So I showed her the idea and we both just started shaping the song together as we continued to read scriptures and share stories. It ended up being a declaration to sing whether you are at the top of a mountain or whether you are literally walking through the darkest valley. Obviously saying “everything is mine” doesn’t mean earthly things…but kingdom promises that are truly ours in Christ. A friend told me “I feel invincible when I sing this song” and that’s probably my favorite thing that anyone has ever said about one of my songs. This is your first ever live album, why record it live rather than in the studio? My husband, Nathan Nockels is also my producer. Nathan and I have written songs together for 20+ years so it’s needless to say that he knows me well. It was his idea for me to do the live album. Since the songs were more along the lines of corporate worship, we decided to put the songs in that setting from the very beginning. Well, because I’m a mother of 3, I’ve learned that I need seasons where I’m writing and seasons where I am not writing. That’s what works the best for me. My children are obviously home all summer, so I hardly ever schedule writing seasons then and I also try to not to travel much in the summer so that I am just home with my family. When I am in a writing season, I sort of just go “all in”. This means I’m writing all the time…in the car, while I’m drying my hair or washing the dishes…it’s 24/7. I keep my iPhone with me and just sing into the voice memos to remember the things that I’m singing. Allot of times, it’s just my own personal praise to Jesus and then I’ll take those moments and craft them into a full song later. I also make lots of writing appointments with songwriter friends of mine. I love the co-writing! It helps you to go places with writing that you wouldn’t normally go. It always stretches me and I’m so grateful for friends like Chris Tomlin, Matt Redman and Jason Ingram who will be genuinely honest with me and will also push me to write better songs! Hmmm, maybe Bono? When I co-write with people we always talk culture, Church and life, then we pray and ask God for a song that sheds light on everything we just talked about. I just think all of that would be exceptionally intriguing with Bono. How would you define success in your career as a worship leader? I think true success is truly knowing who you are and living fully alive from that place. What I’ve learned is that you truly do have to let go of striving. Striving will exhaust you, deplete you and defeat you. When I realized that I just truly needed to live and lead from being a daughter of God, it changed my life. I started letting go of the need to keep up with what everyone else was doing, how they were touring and how many records they were selling. I began to see my children in a different light too. They are not something that I could just compartmentalize, they are people and they need me. The Lord just started asking me to trust Him with my career, fully and to focus on my family. As I did that, He truly has done things for me and my career that only He could do. I’ve literally watched in amazement... I think that success looks way more like little steps of faithfulness every single day rather than skyrocketing to the top and tanking somewhere down the line. Trusting God to promote you and sustain you brings a longevity and an authenticity that you just can’t find anywhere else! You sense His presence and you believe His truth. There’s an Audrey Assad song called “I Shall Not Want” and my little girls listen to it over and over. One of the lines says “I taste Your goodness and I shall not want.” They love the melody and they love the words. It has even helped me as their mom to put language around some things we are going through as a family right now. To me, that’s what the perfect worship song does. It helps you put language around what you are going through and it connects you to a perfect Father who already knows what you need. Bloom where you are planted. I know that sounds really simple but I think so many times people spend way too much time waiting around for something to happen and they miss what God has right in front of them. When we first started leading worship, we led locally and often and free of charge. We led wherever there was a need and we “made a stir” right where we were. The beauty of this is that as you are faithful with what God has put in front of you, often, the stir you make where you are makes a way for more doors to be opened for you. It always seems like the “grass is greener on the other side” but timing is everything with the Lord. When you wait on Him and you cultivate faithfulness where you are, it’s always worth the wait and He always brings new pasture at just the right time. If you are a songwriter, keep writing! It takes dozens and even hundreds of songs to have even one really good song! Enjoy the process... don’t just strive for the product. I’ve always said that the record called “When Silence Falls” by Tim Hughes would be one of my deserted island picks. My husband produced it and it’s not a new album but it’s a classic worship record for me and I love it. There’s a song on there called “When the Tears Fall” that might have to be that “one song” on the desert island. This record came along at a time in my life where I needed a new song to sing and you know, those records just kind of stick with you through the years... this one certainly has! What does the next year hold for Christy Nockels? I will be traveling quite a bit, leading at various events and getting the record out there!